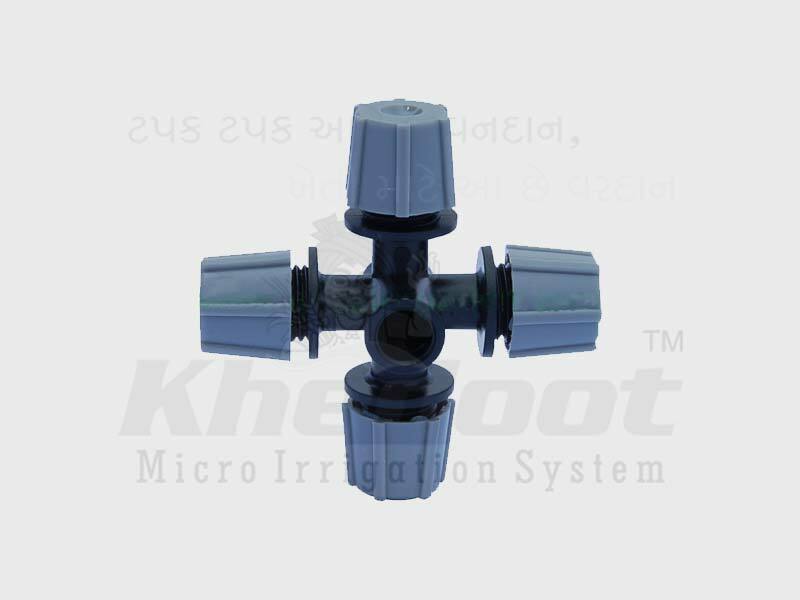 Fogger, Drip Irrigation System, Drip Lateral, Inline Dripper and Emitting Pipe Supplier & Distributor in Rajkot (Gujarat), India. Lower Cost – Our Foggers are affordable priced - much less than high pressure fog systems. Dependable Operation - Since the Khedut Irritech 4 Way Fogger operates on low pressure, there is significantly less wear on the fogger components resulting in less maintenance and reduces overall operating costs. Our fogger system requires 140 mesh filtration eliminating costly filtration systems with intensive maintenance issues. Fogger blockers are available to close off one or more nozzles of the assembly when needed. Simple Installation & Disassembly – Khedut Irritech 4 Way Fogger are readily adaptable to existing systems. They are easy to install with fittings common to most hanging assemblies. All it takes is a "twist" and the fogger nozzle can be removed from the center assembly - no tools needed. 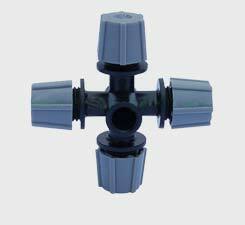 Reliable Check Valves - Assembled above the Khedut Irritech 4 Way Fogger head is a high pressure check valve. This check valve ensures that each fogger turns on and off at exactly the same time for effective short cycling. It also prevents water from draining onto the plants or cuttings below after system shut down. v Manufactured from tough and durable engineering plastic material. v Increase humidity & lower temperature v Leak proof snap fit joint. v Easy to install and service v Provides optimal cooling or humidifying of greenhouses v Suitable for Nursery/ Green House/Poultry House/ Home Garden.